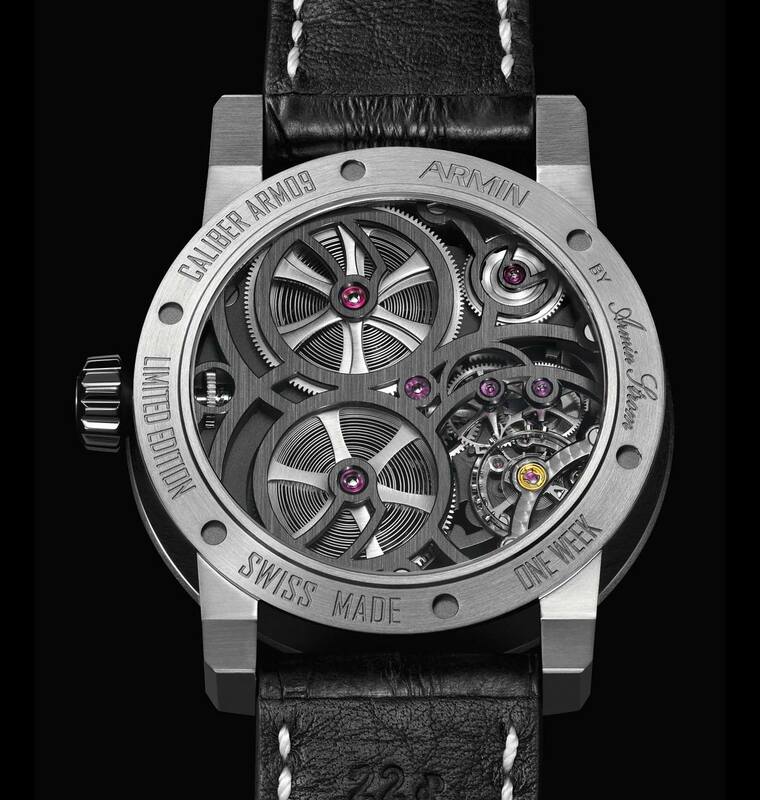 Armin Strom is one of the 43 top watch brands that supports the Only Watch 2015 Charity Auction with the creation of an exclusive unique timepiece that will be on sale on 7 November 2015 to raise funds for the benefit of the scientific research against Duchenne Muscular Dystrophy. The Armin Strom Skeleton Pure for Only Watch 2015 is a special version where the mainplate and the bridges are finished with a matte black PVD coating for a unique look. The 43 mm case is crafted from stainless steel. The Skeleton Pure, which recently won the Red Dot International Design Award, is powered by the manual winding ARM09-S movement that the wearer can admire through the fully skeletonized dial. Thanks to the double barrel, the Skeleton Pure offers a remarkable power reserve of 8 days. 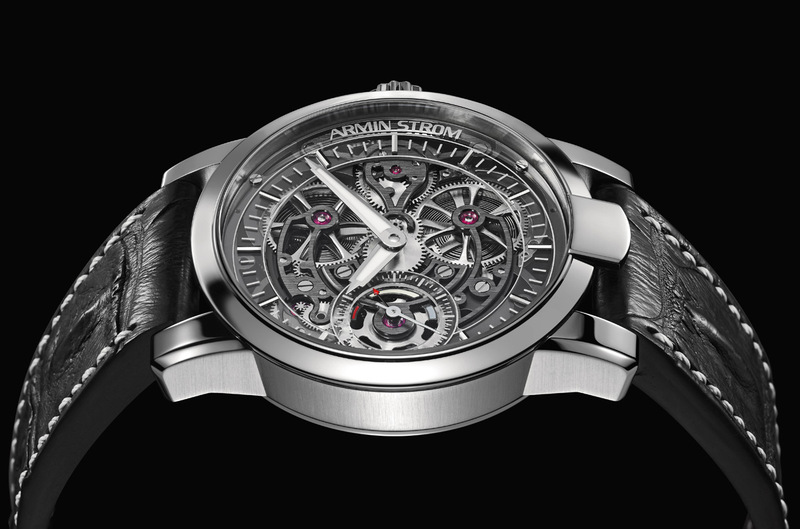 Armin Strom Skeleton Pure for Only Watch 2015. 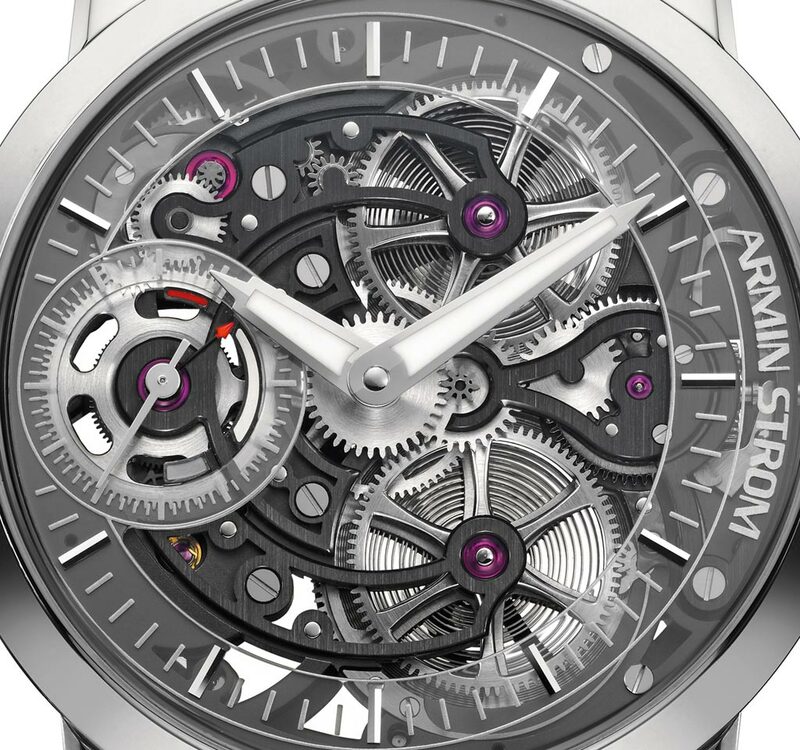 The Armin Strom Skeleton Pure for Only Watch 2015 is a special version where the mainplate and the bridges are finished with a matte black PVD coating for a unique look.